Ward's Antibiotic Effects Lab Activity includes everything students need to learn about antibiotics. The first day of the experiment, students observe disks of penicillin, tetracycline, and chloramphenicol that the teacher has added to a culture plate. The following day, students measure the clear zones of inhibition around each disk to find out which of the three antibiotics was the most effective against which bacteria. For convenience, the lab activity features Easygel, a pre-measured, sterilized media that requires no autoclave or hot-water bath. 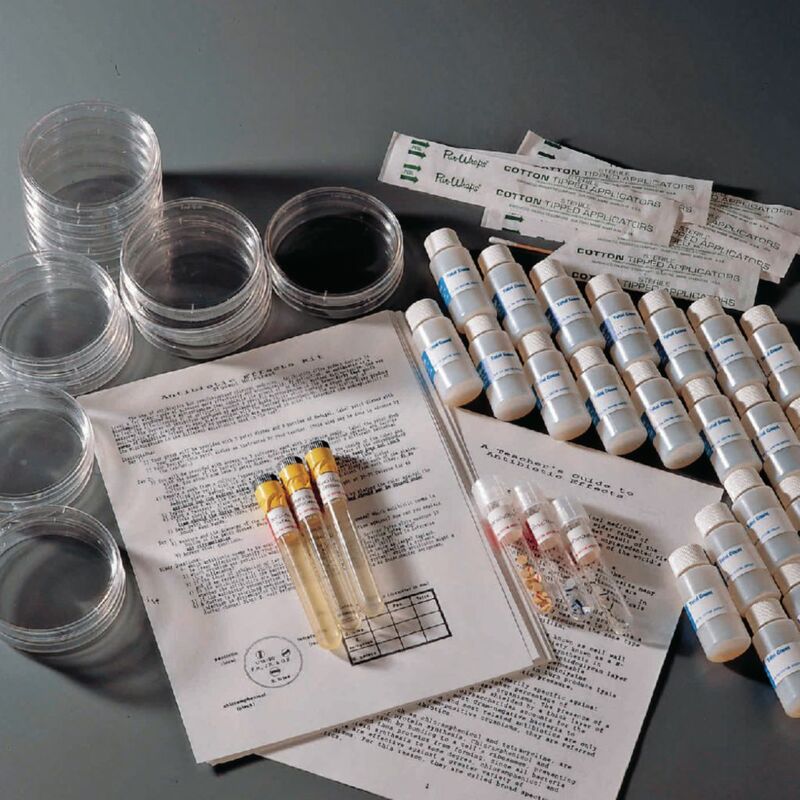 It includes tube cultures of Bacillus cereus, Enterobacter aerogenes, and Kocuria rhizophila. Ordering information: This item contains live or perishable materials. At checkout, please provide the date you wish the complete kit to arrive. Delivery information: Kit will ship via overnight or 2nd day delivery.